This is one of my favorite outfits right now. It's ridiculously simple and not very exciting, but it's crazy comfortable and it makes me feel like myself. I think I might be a hippie at heart. I love necklaces with leafs on them, I hate washing my hair, I love maxi skirts. Ok, maybe I'm more of a faux-hippie: I like wearing deodorant, I believe bacon makes everything better and I have forgotten to recycle a few times in my life. Or maybe I'm just a completely normal, in-between person. Yeah, I think that's probably it. Ash, you look great! Such an effortless yet stylish look! I love everything about this, especially those layered necklaces! I love it! I STILL haven't gotten myself a maxi skirt/dress thing. I'm so behind the times. Yep, I'd go with totally normal =). 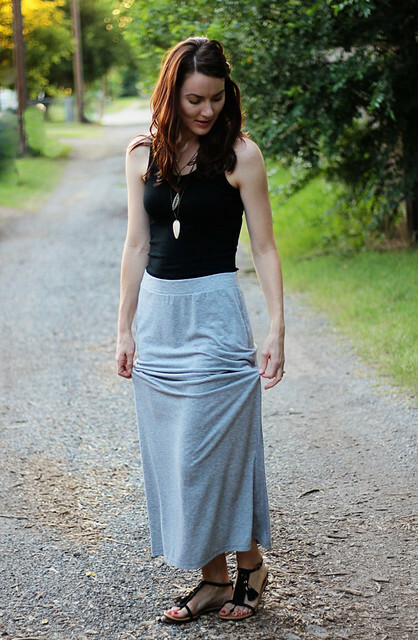 And my gosh, this looks like the most comfortable outfit ever! Simplicity at it's best! This outfit is so chic without being over-styled. Cute arrow necklace! I adore the layered necklaces and those tassel-y sandals! 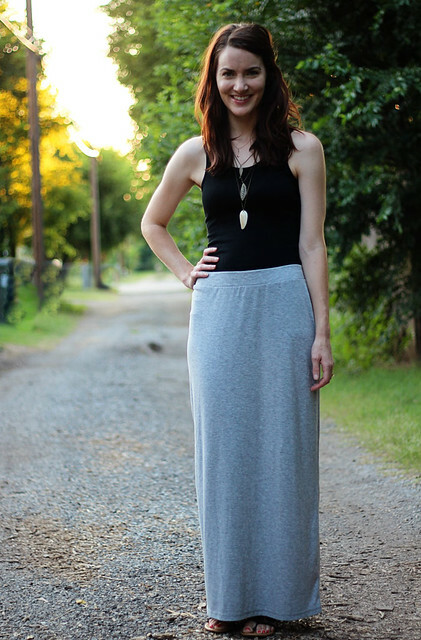 This is a perfect comfy-casual look. I really love that necklace! This outfit is perfect! It's simple but so put together. Love your necklace! Ok. I think it's genius to take positively comfortable and make it stylish and cute. Well done. :) P.S. I don't like to wash my hair much either. It does better anyway. P.S.S. I love coffee and am about to go partake. Great outfit. Those leaf necklaces are so cute! I have a similar outfit to this in heavy rotation for me too! 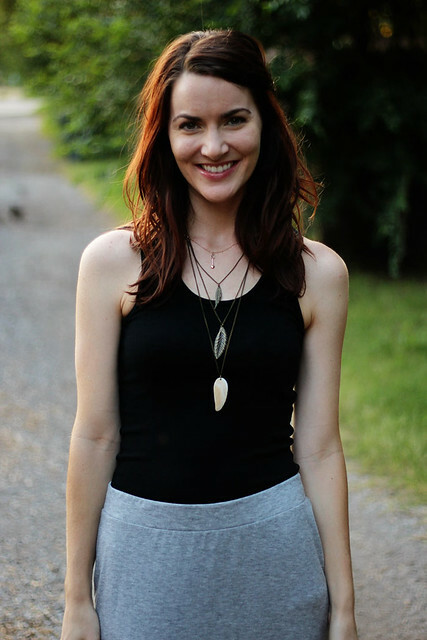 Tank, maxi, and cute necklaces? So easy yet still pulled together. 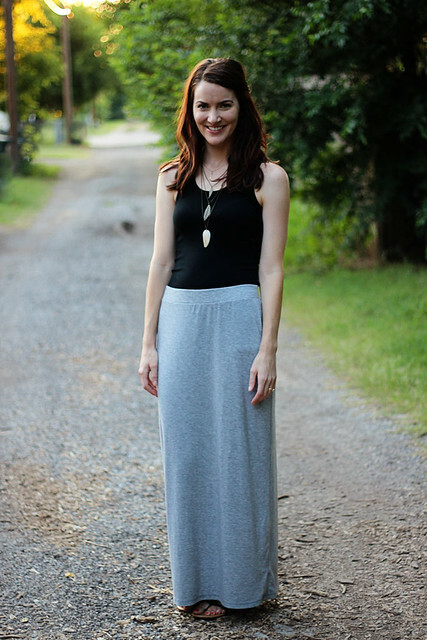 I especially love maxi skirts in this transition time right now between seasons, where they work perfectly when there's a cool breeze outside. Great outfit Ashley! love this :) you are so adorable!